Fourteen teams will compete in the National Second Division Football Championship this year. It will kick off on May 11 and go on until mid-August. The organisers board held the draw yesterday to divide the 14 teams into two groups and make the schedule based on team’s locations. In each group, seven teams will compete in a two-leg, round-robin format, with the top two in each advancing to the final round. The top three teams will be promoted to the National First Division Football Championship, while the bottom team will be relegated. The winner will get a cash prize of VNĐ100 million (US$4350). 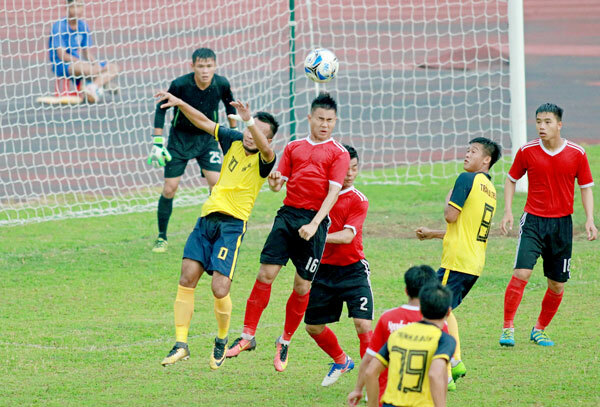 Lê Hoài Anh, general secretary of the Việt Nam Football Federation (VFF), said: “The Second Division is one of the important events in national football. “As the organiser, the VFF affirm will try their best to improve the event and refereeing quality to ensure its success.